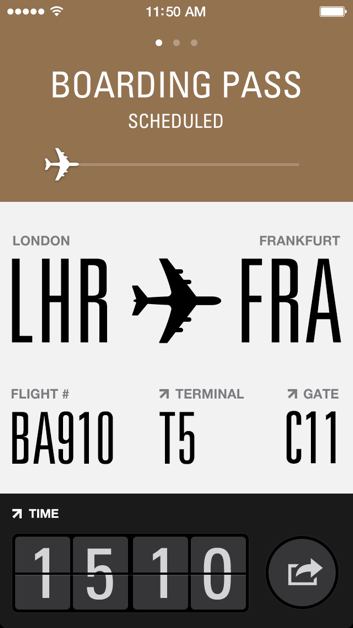 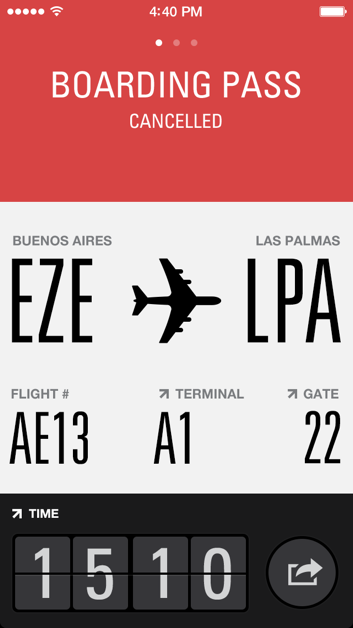 We wanted to redefine the boarding pass in your mobile phone. 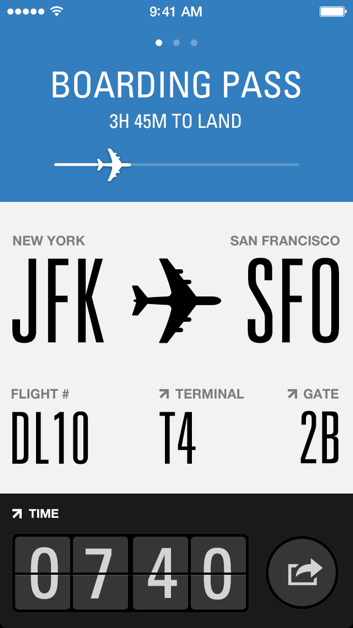 We made a simple, beautiful app that shows the data you need when you need it. 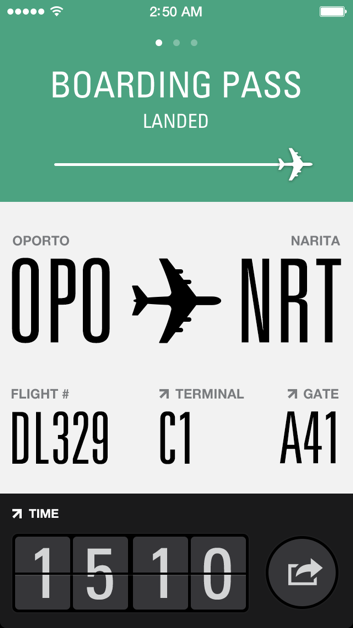 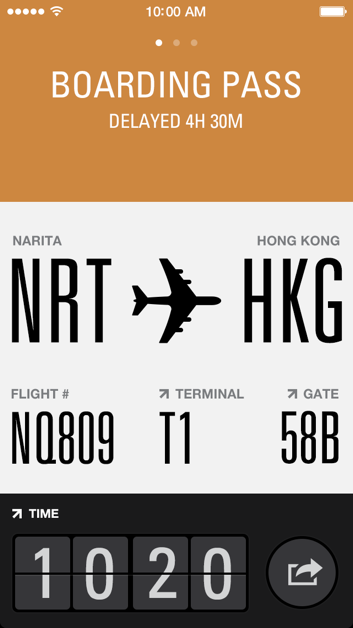 Secondary information and color codes helps the user to quickly have an overview of its flight.